Cognitive therapy seems to be useful for people with mild to moderate mental illnesses. I suspect that it may also be beneficial for people who are not regarded as mentally ill. Cognitive therapy is actually a form of remedial education (i.e., it teaches people things that they should already have learned). Cognitive therapy teaches some of the skills in logical thinking that should have been taught in junior high and high school. I suspect that cognitive therapy could become even more effective if it involved a more systematic approach to teaching logic. Ancient Greeks wrote the original textbooks for the study of logic. Logic was part of the well‐rounded education (enkuklios paideia, a word that gave rise to our word encyclopaedia) that was valued during the Classical period (ancient Greece and Rome). The purpose of this well‐rounded education was to help a young man become a wise and reasonable person: a more reliable citizen during wartime and a more pleasant companion during peacetime. This kind of education was called the liberal studies or liberal arts because it was considered appropriate for freeborn men, as opposed to slaves. Freeborn men were expected to think for themselves and express themselves persuasively. In contrast, slave owners did not want their slaves to shut up and do as they were told. Instead of getting training in the liberal studies, slaves were taught the servile arts, to make them better servants. In the Classical period, educated people knew that you must study grammar before you can begin to study logic. Grammar is the study of how words are altered and combined to form meaningful sentences. The ability to understand and apply grammatical concepts is the thin bright line that divides human beings from all other living species. Animals lack this ability. That is why animals cannot talk, not even in sign language. The study of grammar will help you understand the exact meaning of what someone else is trying to say. It will also help you learn new languages, as well as helping you translate from one language to another. Unfortunately, the teaching of grammar has been largely suppressed in public schools in the United States, for reasons that I explain in Not Trivial: How Studying the Traditional Liberal Arts Can Set You Free. Grammar is the study of sentences. For example, the difference between a wish and a statement of fact is a matter of grammatical mood. Logic is the study of how to combine statements of fact to form arguments about what other statements might be factual. After you master the basics of logic, you can begin to study rhetoric, which is the art of persuasion. In rhetoric, you learn how to convince people to take the kinds of action that will make your wishes come true. Sometimes, you do this by explaining some important facts. In cognitive therapy, the patient learns about some of the common errors in logic. In cognitive therapy, these errors are called cognitive distortions. For example, if you fail at something, you might be tempted to think of yourself as a failure. But in cognitive therapy, you would learn that this conclusion is the result of a cognitive distortion called global labeling. Failing at one thing does not mean that you always fail at everything. By allowing this illogical thought to cloud your judgment, you can make yourself more depressed. (On the other hand, people who are unaware of their failures tend to be narcissistic!). 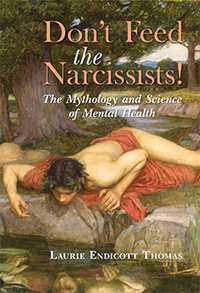 I explain that problem in Don’t Feed the Narcissists! The Mythology and Science of Mental Health. The idea that cognitive therapy is a form of remedial education raises two important questions. One is whether the public schools can and should be teaching these skills. 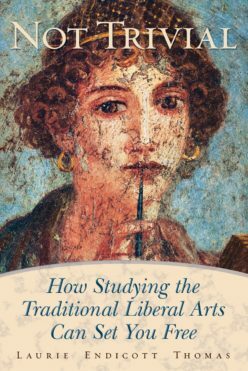 In Not Trivial: How Studying the Traditional Liberal Arts Can Set You Free, I argue that grammar should be taught in grammar school and the basics of logic should be taught in high school. Unfortunately, the teaching of grammar has been systematically suppressed in the United States. Likewise, the teaching of logic is neglected, except for the small amount that you need to know for writing computer programs. The other question is what role this kind of remedial education can and should play in the treatment of mental illness. The answer to that question depends on the underlying cause of the individual case of mental illness. Mental illnesses are problems related to thoughts, feelings, and/or behavior. For example, a person who is suffering from major depression may have biased thought patterns as well as depressed mood and a low level of activity. Scientists still have practically no clue as to why one person would have these problems, while someone else (even the person’s identical twin!) does not. Nor can scientists explain why the problem tends to come and go for a particular patient. Scientists suspect that more than one cause is at work in any given case. Some of these causes may be psychological or social. Others may be medical. The treatment that would be appropriate in any given case would depend on the causes that are active in that case. I think it is good for therapists and patients (and the relatives of disabled patients) to have reasonable expectations about what psychotherapy can achieve in each patient’s case. If the patient’s mental problems are due to a psychological cause, such as lack of training in logic, then cognitive therapy may be all that is needed. That’s why cognitive therapy seems to perform as well as medication for intelligent people with mild to moderate problems with mood. Cognitive therapy would be less effective for patients whose mental problems are due to an underlying disease of the brain (e.g., damage to the parts of the brain involved in logical thinking) and are thus more likely to be severe. Yet even those patients may benefit from coaching in how to think more logically. The goal in those cases should be to help the patient compensate for the flaws of their broken brain. Next Next post: Was “William Shakespeare” an Italian Jewish Woman?